This brand new series of Gargantuan Dragon miniatures from WizKids is sure to impress role-players and miniature hobbyists alike. The sheer size will certainly eclipse most adventuring parties. 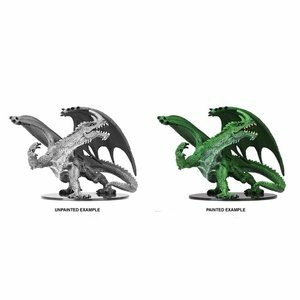 These Pathfinder Battles Deep Cuts miniatures are highly detailed figures, primed and ready to paint straight out of the box.